The Consumer Rights Directive has now been approved by the European Parliament. 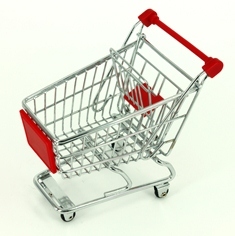 It merges four existing EU consumer rights directives into one set of fully harmonised rules. It is expected to be published in the Official Journal of EU law in October, after which Member States will have two years to implement the legislation. CEPI already wishes to underline that the Directive applies to business-to-consumer contracts for goods and services. It does not apply to contracts related to the transfer of rights in immovable property or the creation of such rights, contracts for the construction of new buildings, the substantial conversion of existing buildings or contracts for the rental of residential accommodation. However it does apply to service contracts related to the construction of annexes to buildings and the repair and renovation of buildings, as well as contracts related to the services of a real estate agent and contracts related to non-residential accommodation. It also applies to contracts related to district heating (in multiple buildings) and for the supply of water, gas and electricity. The Directive contains provisions relating to consumer information for all contracts, and a 14 day right of withdrawal for distance and off-premises contracts during which consumers may change their minds. More detailed information is available for our member associations in CEPI.eu#60. This subject is particularly important to CEPI, and we will follow it in the framework of several current projects, including the work on standardisation of property managers’ services.